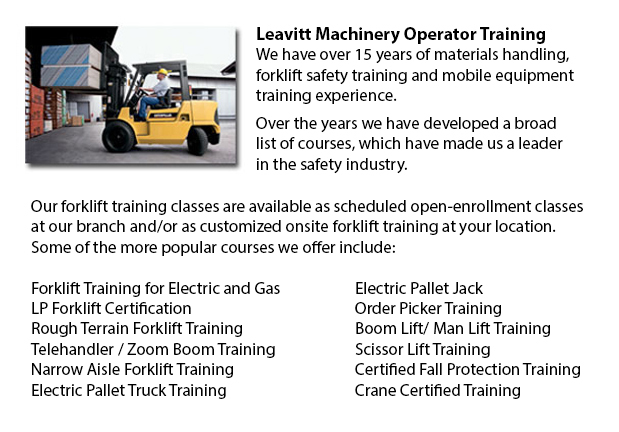 Forklift License Grande Prairie - In North America, obtaining a forklift license or forklift certification involves hands-on and classroom training. Regulatory control over certification, training and license for powered industrial truck operators falls under the jurisdiction of state, provincial and federal groups. Operators could obtain a license either through training administered by the employer or by a third party. In any case, regulatory requirements should be met. Recertification is needed every two to three years. Lift trucks are powered industrial trucks which come along with various alternatives, like for instance stand-up and sit-down. There are different types and sizes of forklift suitable for different industrial uses. Operator training courses are usually individualized to deal with the certain uses and types for which the operator is training. Training on a sit-down, gas-powered forklift in a warehouse surroundings would not be the same as training on a propane-powered, stand-up lift truck in a shipyard. The different lift trucks and their applications makes it impossible to establish universal licensing requirements for all machines and industries. Regulatory standards, hence, tend not to concentrate on detailed course requirements but instead on the outcome of individual training courses. On the job training that is supplied by the employer is the most common method of forklift training licensing and certification. The employer who offers this method of certification is required to provide classroom sessions and practical training on equipment at their place of work. Employers may opt to train workers on each and every type of forklift separately, or to train them on all machinery combined. The course incorporates lift truck operation methods, company rules, lift truck maintenance and safety measures. Subject matters specific to the worksite, like dangerous conditions or materials, must be covered. Following classroom learning, operators are taught how to safely utilize and operate each type of lift truck on the worksite. When using a third party trainer, the certification process will usually consist of an on-site component along with hands-on practice. It must be noted that certifications provided by an employer do not transfer from one employer to the next. Acquiring a lift truck license through employer-provided training permits the operator to operate a lift truck for that employer only. The most important factor of forklift license training is forklift safety. The exact safety training requirements differ from one type of equipment to another. Safety problems vary from industry to industry and from employer to employer. Both third-party providers and employer-provided training may have to deal with extra requirements for safety training in applicable industries, like for instance in offshore and marine operations.